Coming to a Greenbelt near you! Due to the efforts of CIWHOA Board members and volunteers! Not all greenbelts will see change – many have been well cared-for and do not need enhancements. if you are a homeowner adjacent to a greenbelt, you and your neighbor across from you will be contacted by the City prior to work beginning in your greenbelt and you will be provided a couple options for plant material to be installed next to your home. OOOPS! The postcard had a wrong date for the annual meeting on the side with the address. THE ANNUAL MEETING IS FEB 9th! Landscaping provides ongoing benefits to our community’s look and feel, and potentially impacts our home values. Since the development of the Community in the early 1970’s, there has been varied attention devoted to landscaping issues. As many have noted and noticed, there are maintenance issues that have long been neglected. 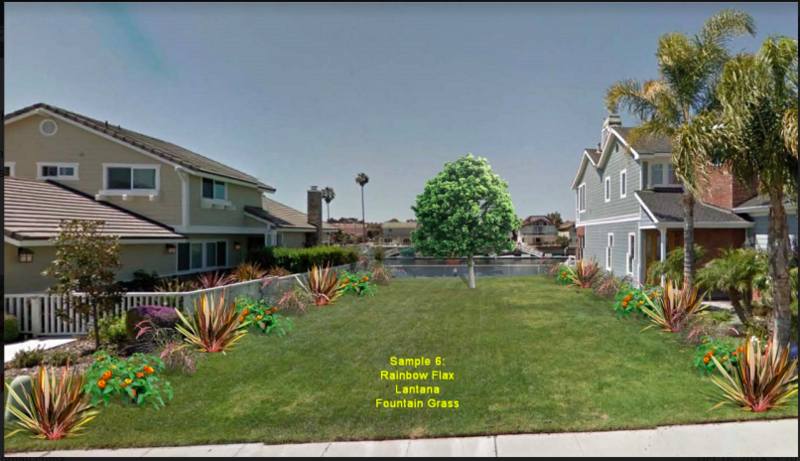 We now want to share some positive developments that have occurred, as a result of renewed attention from City of Oxnard officials, coupled with involvement from some homeowners. We are pleased to communicate with homeowners and residents regarding important landscaping developments—landscaping within and around the perimeter of our Mandalay Bay Community and green spaces within the Community. City workers have removed dead trees along Harbor Blvd. and Channels Islands Blvd. They have planted new trees (thus far 30 have been planted, with an anticipated 50-60, depending on spacing). These tree varieties include New Zealand Christmas Tree and Eucalyptus Lemmonii. While the initial plan/installation funded 15 gallon sized trees, the City is exploring funding and the feasibility to plant larger trees. Anticipated Timing – planning for completion by end of 2018. Mandalay Bay has 54 City-owned greenbelts, medians and parking area planted beds. (mostly located on the west side of the main channel). These areas were deeded to the City as public space by the original developers. These open space greenbelt areas were designed for both safety reasons—providing for emergency access to the water as well as resident’s enjoyment—allowing for a view toward the water, space to walk dogs, and structural space between homes. Maintenance of these areas has not been consistent, and especially minimal in the last decade. This has created some landscaping issues and problems—some greenbelt areas have trees bordering homes that are grossly overgrown, unattractive and may be dangerous. Over the years, some residents have stepped in to enhance their particular areas. Recently, the City has taken notice and is now focused on rehabilitating the greenbelts. 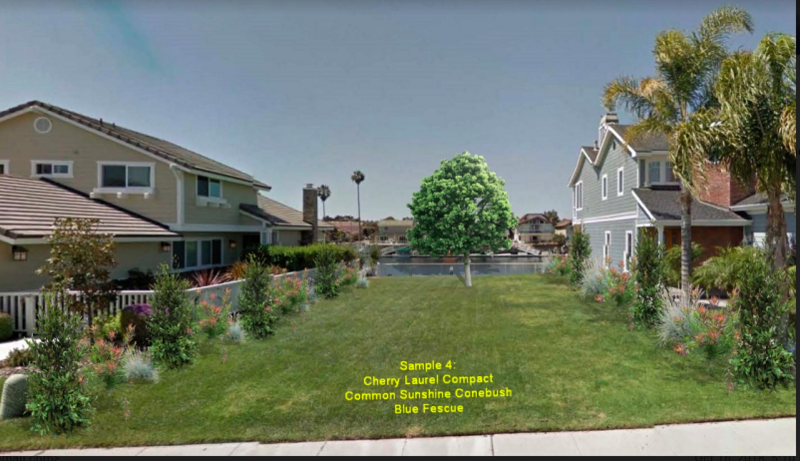 Working together, the Channel Islands Waterfront Home Owners Association (CIWHOA) and the City’s Arborist have developed several landscape design proposals based on the City’s criteria—drought tolerance, ease of maintenance, hardiness, non-invasive roots, non-deciduous. In addition, consideration was given to selecting contemporary, visually interesting plantings. Greenbelts affected: Many of the greenbelts have been well cared for and do not currently need enhancements. 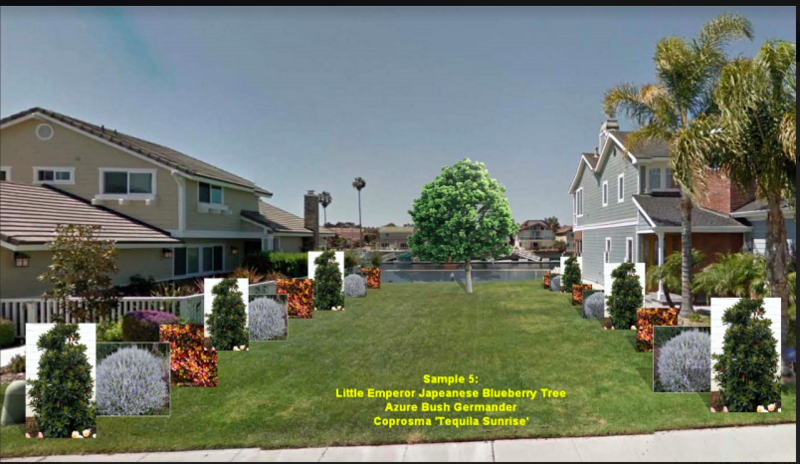 Some greenbelts which have homeowner owned easements (approximately 34-36”) have been landscaped by the owners themselves, and therefore not in need of further plantings. Also, needed maintenance will be provided, including addressing irrigation on the greenbelts. 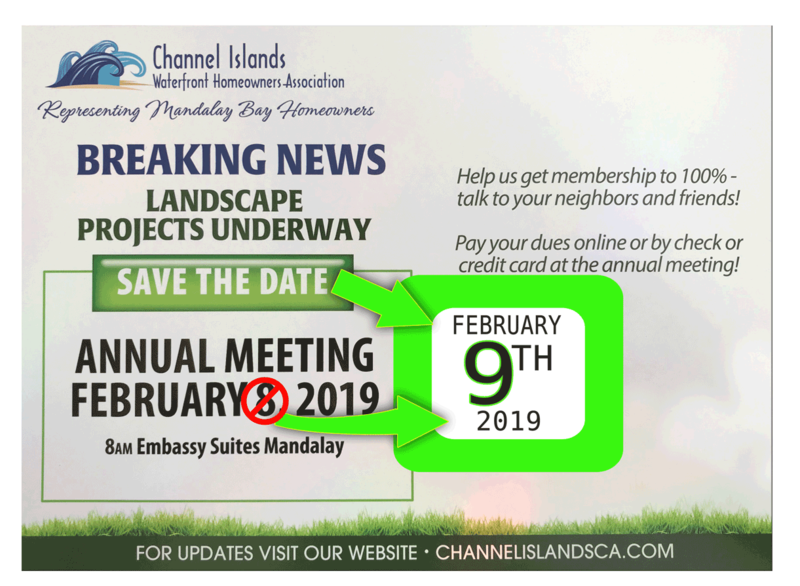 The City will inform the Channel Islands Waterfront Home Owners Association (CIWHOA) prior to any plantings work around the perimeter areas, and updates will be posted on website. Prior to beginning of any work on greenbelts adjacent to your property, you can anticipate contact from a City representative to discuss removal/cleanup plans as well as well getting your input with regard to the type of plants you prefer to have installed from proposed options. Images are not reflective of all plant choices! The images here are only provided as examples! Though these issues are not new - of all of them effect all of us living here and there are new considerations and status updates that will be presented and discussed at this meeting. The Members Only portion of the meeting will have new and important items for paid membership to vote on.